Today in honor of California, the beach, and by request from Fernando, I made sushi. More specifically I made what I have decided to name California Beach Rolls. For my celebration of my California roots I also wore my California beach t-shirt. Last night I made these rolls, and well my kitchen is really too dark to photograph food at night, so today I got a second chance to show you how I made California Beach Rolls (My own name, and creation). I have not always liked sushi, but a few years ago my sister Jenifer treated me to a wonderful weekend in Carlsbad for my birthday. Carlsbad has the most beautiful flower farm, in case you love to see rows and rows of amazing flowers. 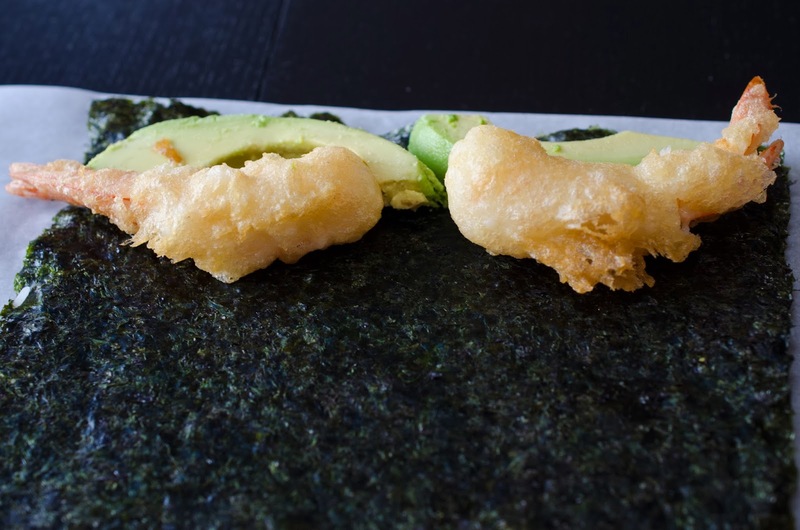 On our way back home, we stopped at a sushi restaurant and the roll I ordered had tempura shrimp and avocado. 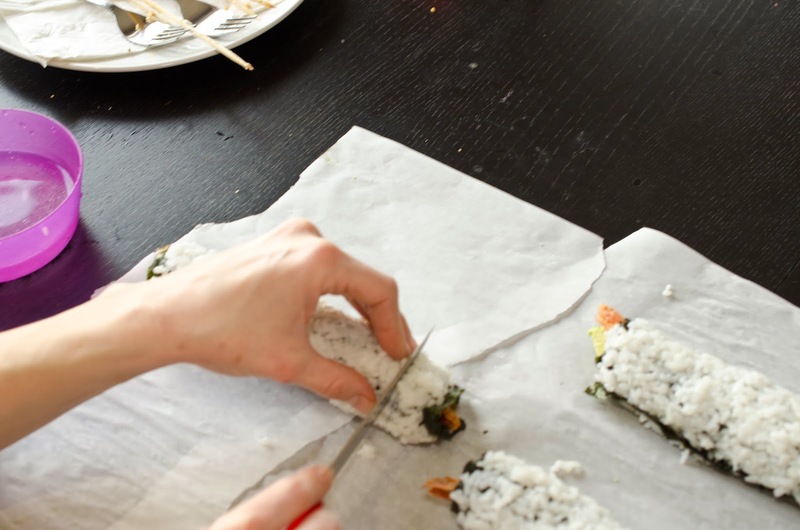 My recipe today is my take on that fabulous sushi roll I ate a few years ago. With the help of my friend Bridget, we made Sushi to share with my husband and his co-workers (Especially Fernando) today. Look at it, doesn't it look gorgeous? and 1 can of Seltzer water. 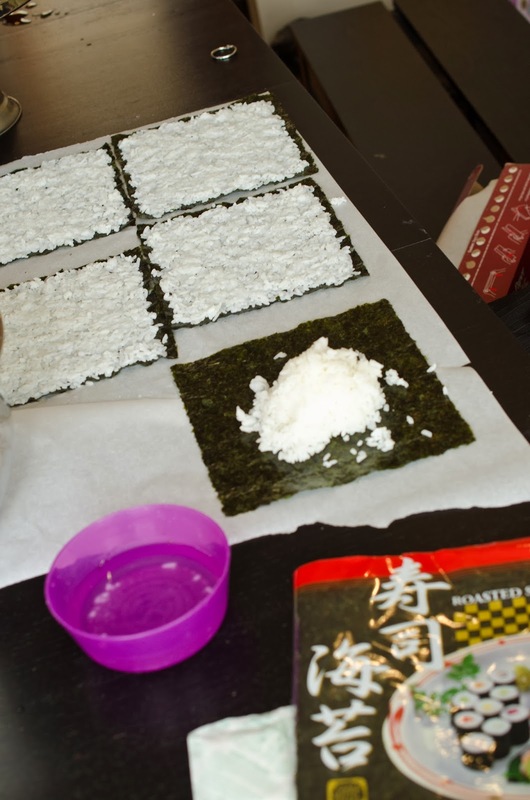 Other ingredients for the California Beach Roll: 5 sheets Nori (seaweed, the nori pictured is from Costco but it is not the correct size, the correct kind is pictured below), and 1 ripe avocado. 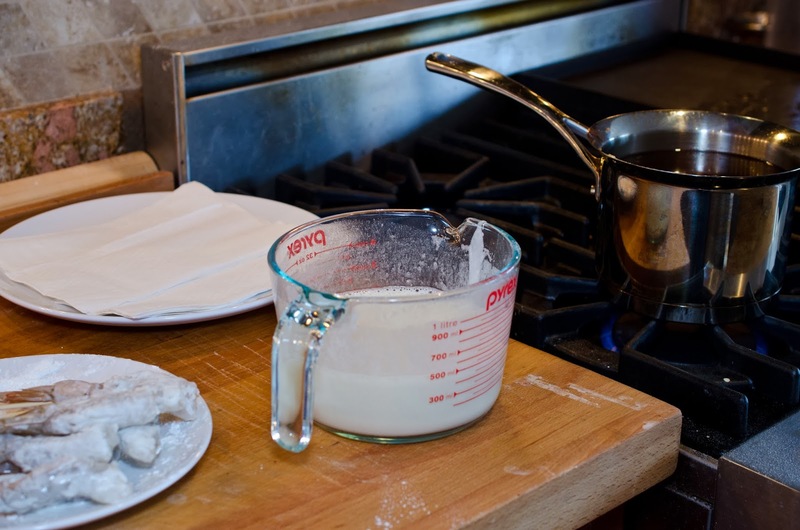 Mix rice, vinegar, and sugar together. California in full size sheets) if they have them. 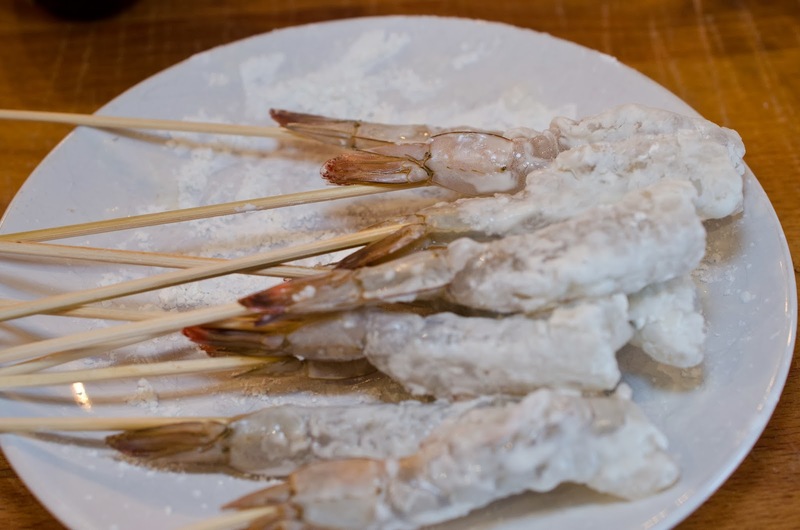 as possible on the skewer. We only want straight shrimp for our rolls. That is your goal. seltzer gently, we don't want to burst all the bubbles. 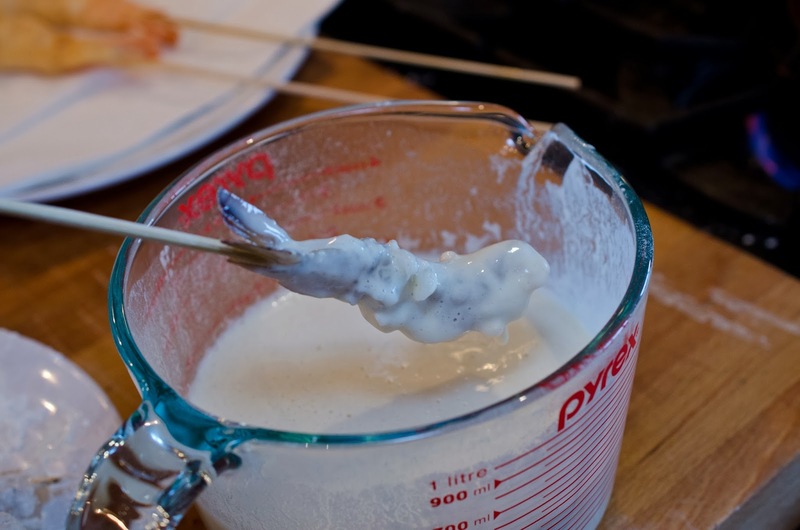 Add the flour, whisk gently again. sesame seed oil to a boil. 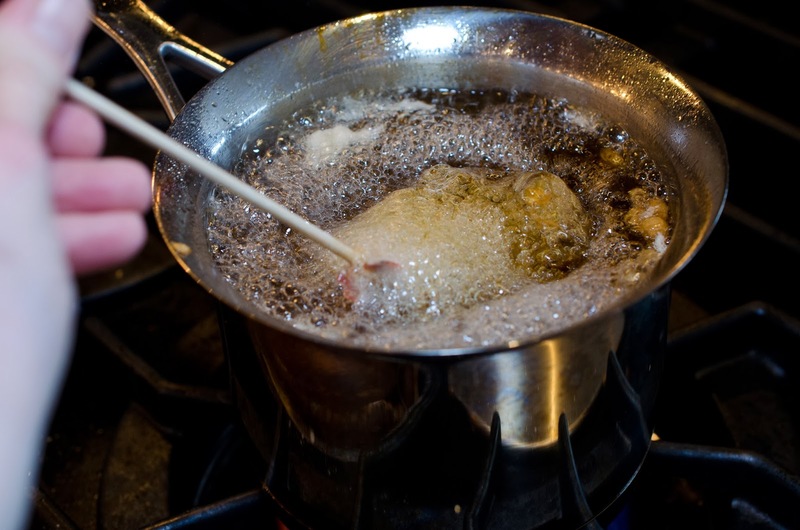 Then into the oil, cook until outside is golden brown. 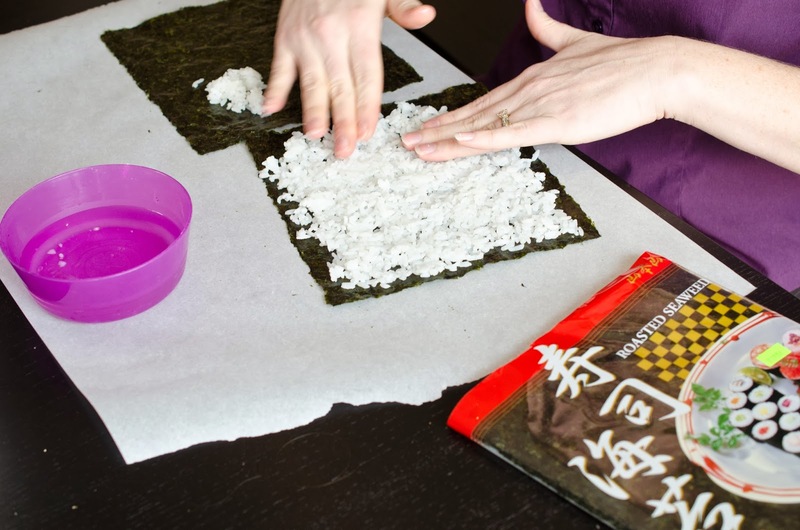 Remove to a paper bag lined platter. 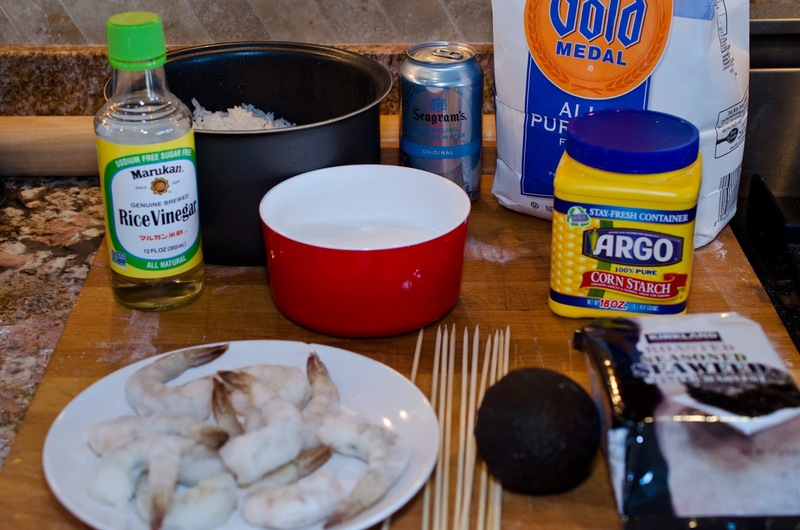 This recipe will make 5 sushi rolls. 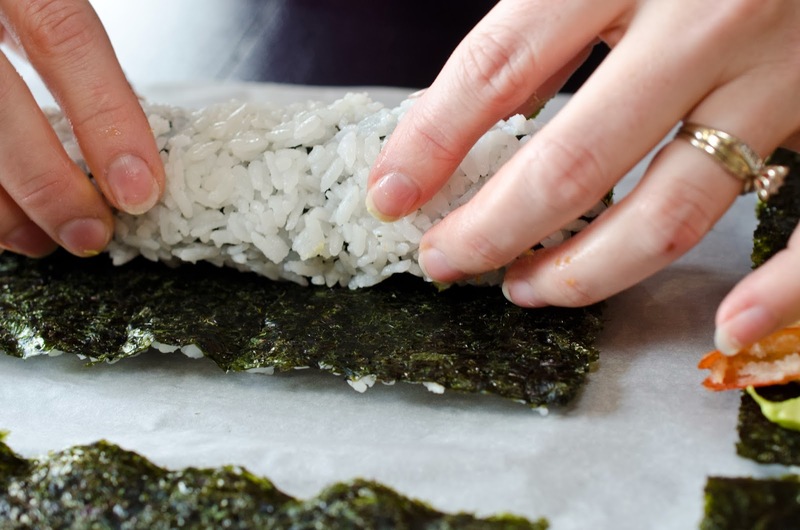 Flip Nori over, so rice is facing down and Nori is facing up. Slice avocado into 20 pieces. 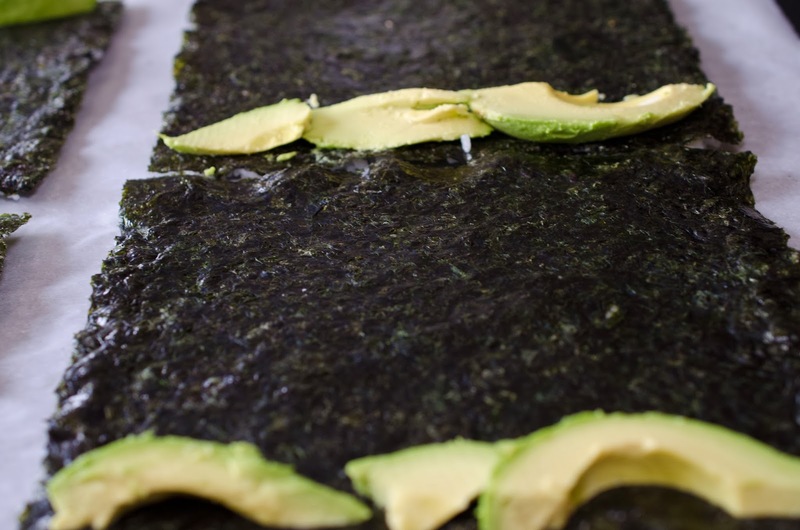 Place two slices of avocado on edge of each Nori sheet. realized they should have been taken off. Shrimp tails don't taste good. Roll tightly from the avocado side forward. into a bowl of water to prevent sticking. You know you want one. What are you waiting for? Go get the ingredients. These were delicious! 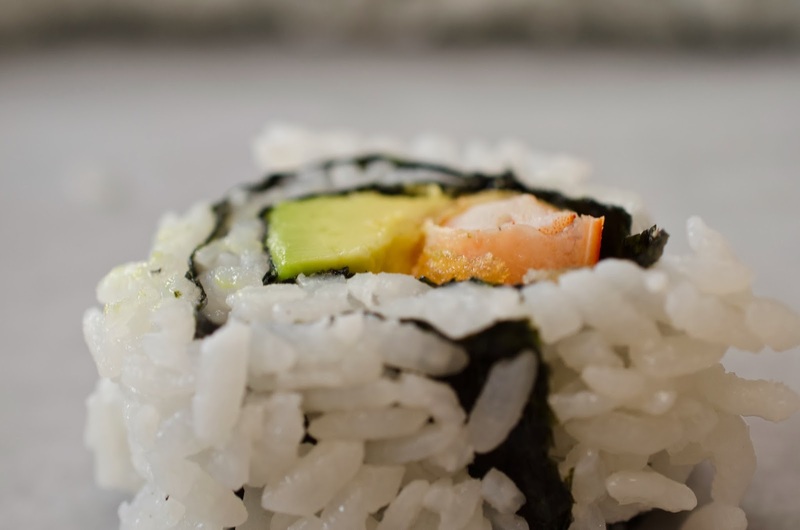 I love sushi and especially California (Beach : ) rolls. My Chinese student tried it and liked it too.